photo Today I'm feeling motivated to get rid of stuff (!!!). I have a dream of working in a clean, organized room (don't we all), but clutter all around my bedroom makes it hard to feel fresh and inspired. Here are my tips for whittling down to the things that really matter. 2. Necessities When my sister came back from a six week trip to Japan, she realized that she could live off of only the things she packed in her suitcase. So she began a huge get-rid-of pile outside her bedroom door. 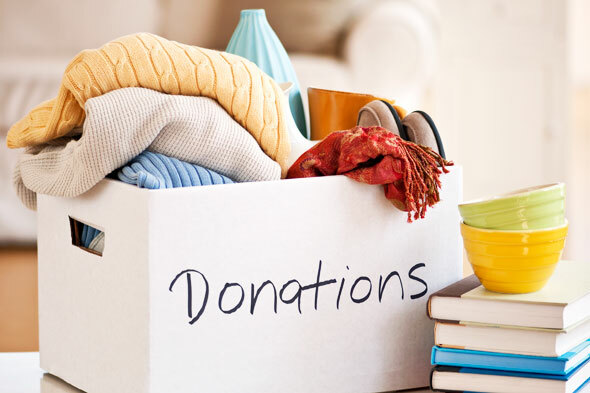 If the item is something that you'll never use, you don't like, or doesn't do anything but take up space, donate it. 4. Clothes I love clothes/shoes/accessories (who doesn't?) I also have a lot of clothes that I don't wear. I've heard of this simple trick that I'm going to try, and it goes like this. Turn all of your hangers backwards in your closet. When you wear something, put the hanger back the correct way (not backwards). After 6-12 months, you'll be able to tell at a glance which clothes are cluttering up your closet (the ones with backwards hangers). As for anything else, if it's too small, stained, ripped, or doesn't fit right, get rid of it. 5.Finding a place for everything. Cleaning will be SO much easier if you know where everything goes. I have random things laying around my room because I don't know what to do with them! The more clutter you give away, the more room you have for things you really want/need. What are your tips for decluttering?